The picture shows some features of the vehicle exterior. The novelty was captured in the red body color, which provides an opportunity to assess the impressive dimensions and the rear, where there is an inscription of the model. 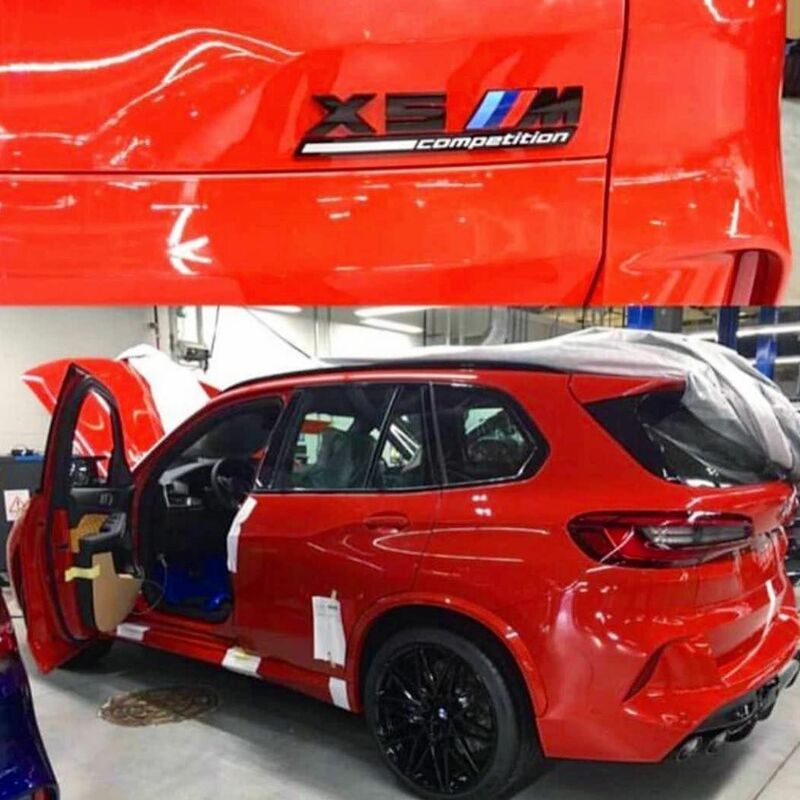 This is the X5 M Competition modification. Differences from the original can be traced by a modified rear bumper, 4 exhaust pipes, and quilted door panel. In BMW X5 M the V8 engine generating 625 'horses' and 750 Nm. Perhaps the BMW X5 M official premiere will hold this fall.